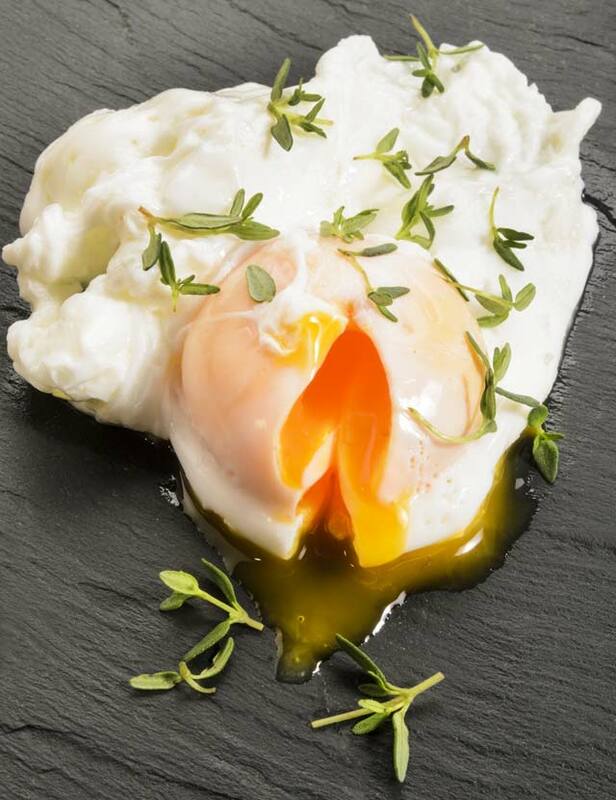 Eggs are a great source of nutrition in the morning or any time. If you're looking for an easy, quick way to make a poached egg during a busy morning or in between daily appointments, try the microwave. To make it a complete breakfast, keep some Low Carb Cauliflower Fritters in the freezer, warm one up, and put one of these eggs on top. You can even add some smashed avocado in between the two. Easy and delicious! Gently crack one egg into a glass bowl containing 1/3 cup water, submerging the egg. Poke a hole in the egg's yoke. This is critical to prevent the egg from exploding. Cover glass bowl with a small glass plate. Microwave for 1 minute and then check. Add time until you get to desired doneness. Time needed will vary based on individual microwaves. Remove egg from water, sprinkle with desired seasonings, and serve.